After entering open beta on May 30, Crossout keeps on making well deserved waves, as this motorized action game is both original and addictive. Now, Gaijin Entertainment announced that the Crossout Xbox One version managed to grab the number one position on the top free Xbox games of the Microsoft Store. Not bad at all, but let's see how long it can maintain this position. 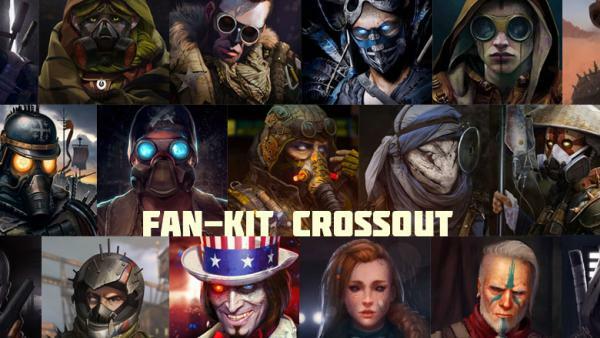 On another note, the studio has released a fan kit for players who want to design their Crossout fan sites or fan pages on social media. You get the logo as well as screenshots of locations and vehicles, artworks, emoticons and avatars in the style of the game. You can download the fan kit here.